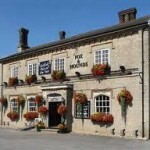 Award winning freehouse, serving great real ales and home cooked food. Amelia and Lauren are tweeting all the inside info on Bernies Boozy Barrels! White Horse in Beyton has a beer garden. The pub has a car park, it is a family friendly pub. White Horse serves food. The pub has an outside area, it serves real ale. 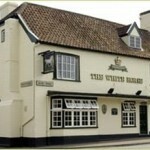 White Horse is a member of Cask Marque. Bear in Beyton has a beer garden. The pub has a car park, it gives a warm welcome to dogs and their owners. Bear is a family friendly pub. The pub serves food, it serves real ale. Bear has a real fire. The pub holds quiz nights. Bunbury Arms in Great Barton has a car park. The pub serves food, it has a smoking area.